TORONTO, September 21, 2018 – York University President & Vice-Chancellor Rhonda Lenton and Interim Dean of York’s Lassonde School of Engineering, Richard Hornsey, will announce a partnership with a leading industry partner to bring a new model of experiential learning for undergraduate computer science degree students this fall. It is the first of its kind in the Greater Toronto Area (GTA). The announcement will take place on Monday, September 24, 2018 at Bergeron Centre for Engineering Excellence in the Lassonde School of Engineering at the University’s Keele campus. This partnership will have a significant impact on the future of computer science education at the University and will support its mission to shape the next generation of technology leaders. Media are invited to take part in interactive displays. 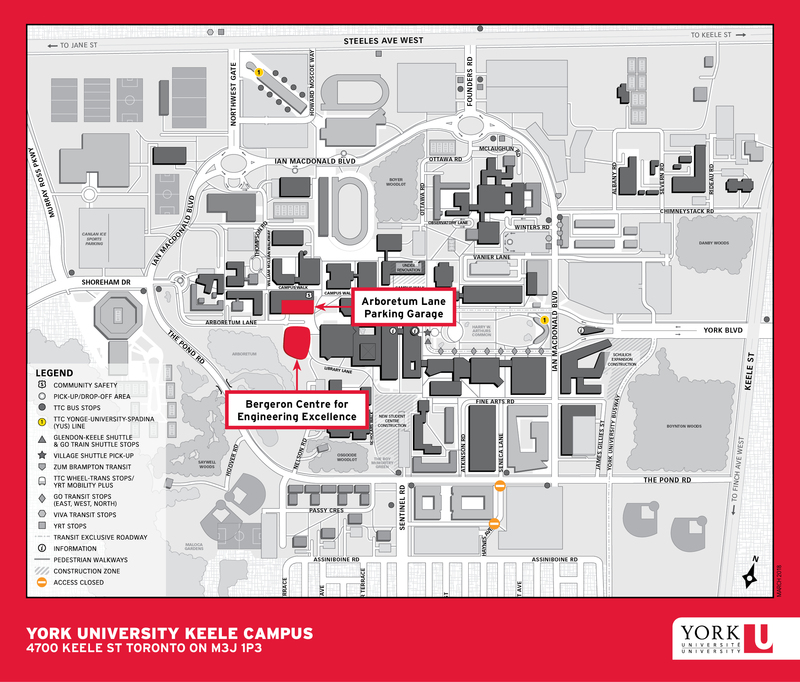 York University champions new ways of thinking that drive teaching and research excellence. Our students receive the education they need to create big ideas that make an impact on the world. Meaningful and sometimes unexpected careers result from cross-disciplinary programming, innovative course design and diverse experiential learning opportunities. York students and graduates push limits, achieve goals and find solutions to the world's most pressing social challenges, empowered by a strong community that opens minds. York U is an internationally recognized research university - our 11 faculties and 25 research centres have partnerships with 200+ leading universities worldwide. Located in Toronto, York is the third largest university in Canada, with a strong community of 53,000 students, 7,000 faculty and administrative staff, and more than 300,000 alumni.